This Jabra EVOLVE 80 LINK MS Headset is an innovative headset that has been optimised for Microsoft Lync and Skype for Business. 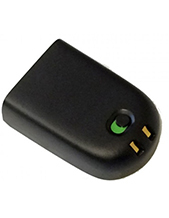 It can easily be plugged to computers and mobile devices (tablets and smartphones alike) and make calls through these devices without having to suffer loud noises in a busy office through the help of the active noise cancellation feature programmed in the device. This makes it perfect in factories and workshops. Jabra EVOLVE 80 LINK MS Headset is a high quality headset that can help users manage and handle calls, including adjust the volume in the calls and activate the mute function. 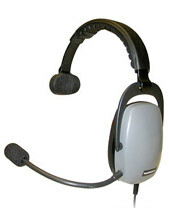 It also boasts comfort, together with its flexible microphone book arm, padded headband, and its large and soft earcups. 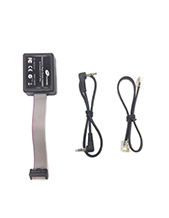 If you are interested to have this headset, call us through Australia wide 1300 131 133 today! Established in the year 1869, Jabra is currently headquartered in Ballerup, Copenhagen, Denmark, where most of its major operations are conducted. It is powered by approximately 5,000 employed experts, where the company is able to deliver high quality and innovative audio and sound devices and solutions in the global market. 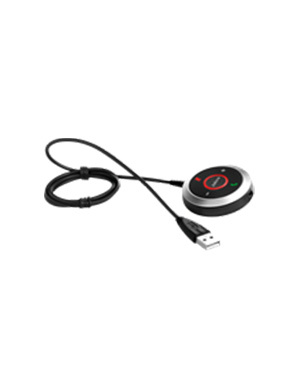 Jabra offers headsets, headphones, and speakerphones that can be used in homes and professional settings. The industry that has greatly benefitted from the offers of the company is the contact centre industry, since agents are required to use headsets for the entire day. This is why the company’s products are just the most ideal ones for them. Jabra delivers high quality comfortable headsets that can be worn for a long period of time. As the epitome of comfort, the company also provides incredible and advanced echo and noise cancellation technologies, as well as other similar features and functions that can promote call handling and management skills. Headsetsonline Pty Ltd is an Australia-owned and –operated enterprise that is part of a popular company that delivers high quality headsets and headphones for corporate agencies and government sectors. This has been going on since the year 1998 and from there has excellently provided the market with wide selection of speakerphones, headphones, and headsets. More than these tangible products, the company also offers incredible services to support the operation of these products. From the site, Headsetsonline offers delivery services, where customers can enjoy flat shipping rates, which means that products of all sizes will have similar rate with no hidden fees involved.